We’d love your help. Let us know what’s wrong with this preview of The Ghost of Tillie Jean Cassaway by Ellen Harvey Showell. People said the ghost of a drowned girl roamed the hills. Was this the wild-looking child 11-year-old Hilary and her brother Willy glimpsed in the woods? If not, who could she be? The Ghost of Tillie Jean Cassaway is a suspense-filled story where truth is hidden around the bend, in the morning mist or over the mountain. Winner of the South Carolina Children's Book Award. 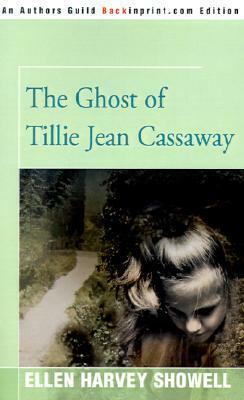 To ask other readers questions about The Ghost of Tillie Jean Cassaway, please sign up. By far the scariest f-ing book I've ever read. I was probably 10 when I found a hard cover copy of this book near the Nancy Drews in my elementary school library. I think its magic comes from the author's refusal to pander to kids. She uses normal, fairly grown-up vocabulary to pain a disturbingly vivid, believable ghost story. So begins The Ghost of Tillie Jean Cassaway, both a ghost story and an adventure into the back hills of North Carolina. I was pleasantly surprised in re-reading the book, after originally reading it the 1990s—the story is as fresh and compelling as it was then—because it is timeless, a story not caught up in the trends of the day, but is as permanent as the mountains themselves. There are many things I love about Showell’s book, including her ability to draw characters with depth and understanding: Tillie Jean is not just an image, but a ghost with feelings—even though we get spooked out learning about them. The other characters come alive well: Willie the young artist, and his daring sister Hilary, the two intrepid children who confront the ghost; Babe, the boy-man, who, in his innocence, befriends Tillie Jean; wise Granny Barbour; and the scary Morton Craig—all are drawn with care, insight and a great deal of fun. Showell also paints beautiful and interesting images of the back hill country—both its land and its people, and includes a smattering of information of its history. Thus I highly recommend this book—not only for middle grade readers, but for younger children as well, as a read-aloud ghost story; and older readers will certainly enjoy reading it to them! Oh my gosh! I can't believe this book is out here. I read this in the third grade and adored it. After my parents had no luck in their search to get me a copy, I decided to take over the search. I traded the book with my teacher for my set of encyclopedias. I definitely got a great deal! This isn't your typical obnoxious babysitters club or sweet valley high book. It is way better. TGOTJC will appeal to all ages. Go find it and you won't regret reading it! I remember reading this in 6th grade and it scared the pants off me. I wonder what it would be like to read now.